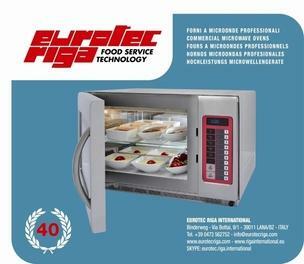 EUROTEC RIGA INTERNATIONAL, Cuptoare cu microunde, cold food displays, hot food displays, pe EUROPAGES. 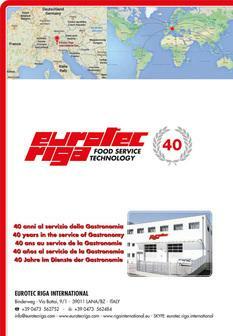 For more than 40 years, Eurotec Riga International has specialized in manufacturing and distributing food service equipment and catering equipment. Within its vast organization, it makes high-quality products to satisfy the requirements of the catering industry: commercial microwave ovens, microwave combined ovens, cooking induction hobs, deep fryers, various types of ovens, hot and cold food displays. 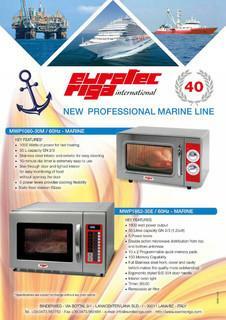 The company also distributes ovens specially designed for use on boats (cooking equipment).